African Water Log: What Do ELCA Regional Representatives Do? What Do ELCA Regional Representatives Do? 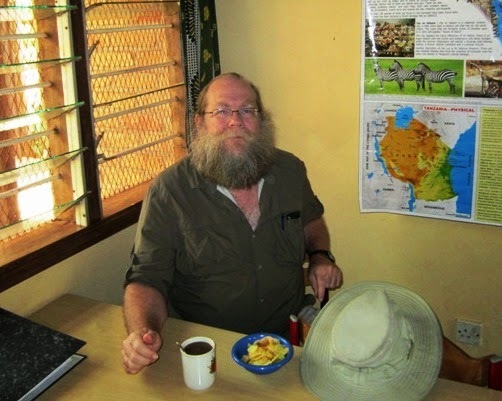 Mid-January–Mid-March: Swahili Language Training in Morogoro, Tanzania (see photo above). April: Deborah visited Madagascar with Dr. Mary Marete of ELCA World Hunger to evaluate ELCA-sponsored agricultural projects and theological schools. May: Joe traveled to Uganda to visit the Adjumani Refugee Camp, which is run by Lutheran World Relief for refugees from South Sudan. In addition, he visited the ELCA-sponsored malaria project in Uganda. We represented ELCA at Lutheran World Relief meetings in Nairobi, focusing on helping refugees in South Sudan and Kenya. June: We organized the visit of ELCA East and Southern Africa Area Program Director Rev. Benyam Kassahun to meet ELCA personnel here. August: Elizabeth Hendrickson, a new ELCA missionary arrived in Nairobi. We helped provide her some orientation to East Africa; Deborah represented ELCA at Lutheran Communion of Central and East Africa meeting in Nairobi. September: Attended the dedication of the ELCT’s newest diocese: Lake Tanganyika, and the consecration of its first bishop, (see photo above); visit to the Iringa Diocese, including Bega Kwa Bega and Iringa University. October: Hosted ELCA Global Campaign visit to Tanzania; attended partner meetings in Kenya (JMCK) and Tanzania (LMC Roundtable); attended Pare Diocese’s 100th Anniversary; Visited ELCA volunteer teachers Rev. Mary Jo Maass and Michelle Mercado. November: Joe assisted with the installation of a new well in Mlenga Parish in Dodoma Diocese; Deborah visited Mwangaza Education Project with Rebecca Duerst of World Hunger. Thanksgiving with East Africa personnel (see above photo). December: Joe visited water projects near Iringa with Water to Thrive and St Paul Partners. Thank you for your prayers and support all year long! Faustina Nillan, head of the national women’s program of the Evangelical Lutheran Church in Tanzania, and Deborah at the dedication of the new Lake Tanganyika Diocese. 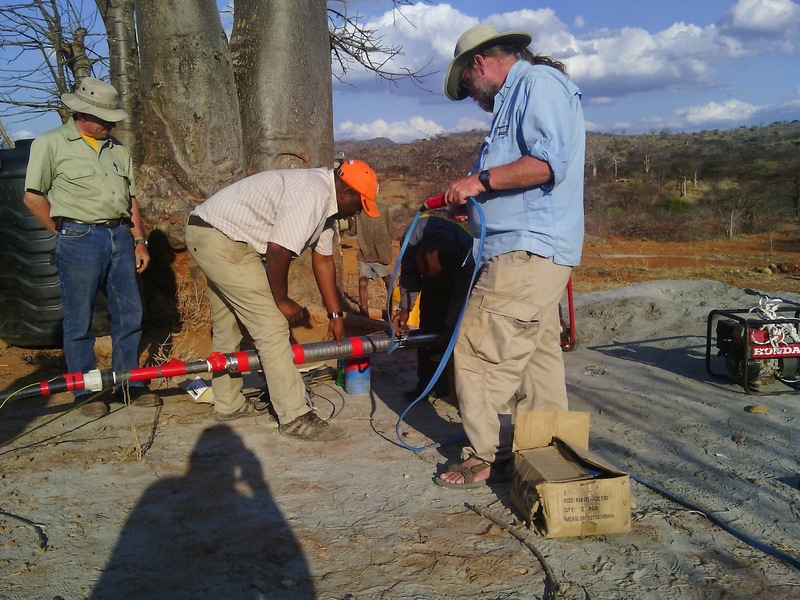 Joe (in blue shirt), together with colleagues Stu Smith of Ohio and Naftal Mandi of Tanzania, prepare a pump test for a new well in Mlenga Parish of Dodoma Diocese. Joe and Deborah are ELCA missionaries in Arusha, Tanzania, where they are the East Africa Regional Representatives for the Evangelical Lutheran Church in America. Their daughter, Christa, is a senior at Rain Forest International School in Yaoundé, Cameroon.